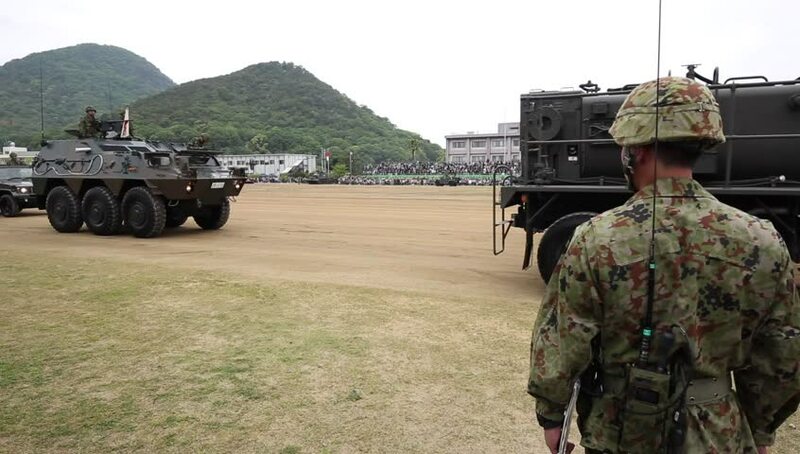 hd00:31KAGAWA, JAPAN - APRIL 29, 2014 : The celebration day of military base was made in Kagawa Prefecture. Military vehicle marches for a parade. Apr 29, 2014 in Kagawa, Japan. hd00:17Lots of smoke from bulldozer career. A large bulldozer pushes waste at a landfill. Waste metal from the factory. hd00:04KANDAHAR PROVINCE AFGHANISTAN, MAY 2013, Afghan soldiers at a shooting training. A soldier shoot with a fixed machine gun from a jeep.